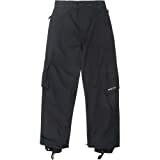 Our strongest nylon at an unbeatable value price has made these cargo pants and industry standard. Trendy, updated styling and fabrication has offered our retailers consistent sell through year after year! Arctix premium cargo pants for youth. Designed specifically for the youth category, our youth styles parallel the great quality and value found throughout the Arctix line. Features: 100% Nylon ThermaLock Fabric. Non-insulated with mesh-lined interior. 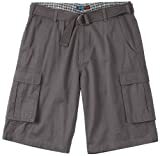 Style 205 features flat front hand pockets with functional cargo pockets. Adjustable waist allows the pant to fit comfortably. Reinforced cuffs, snow cuffs to form a seamless integration with boots. A basic staple for the casual side of your wardrobe are the cargo shorts. 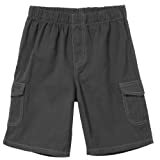 These cargo shorts by Blue Sol have it all with plenty of pockets, zip fly closure & button. 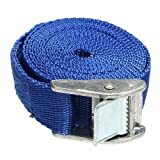 Canvas belt is included. Cotton. ThermaLock™ 100% nylon shell fabric provides water and wind resistance while maintaining breathability. ThermaTech™ insulation provides advanced lightweight warmth while allowing maximum comfort and mobility. Adjustable waist allows pants to fit comfortably, as well as extend the life of the pants for growing kids. Reinforced Cordura 3/4 inch hem and scuff guard for durable wear. Lightweight insulation inside combines with a wind and water resistant shell, to make the Arctix Youth Cargo Snowsport Pants a great choice for your young winter enthusiast. Adjustable waist means that these pants just may last through more than one season as your child grows. Cargo pockets work great for holding lip balm or tissues – essentials after hours of winter outdoor fun.Snow cuffs keep snow out and warmth in..8″ side boot zipper..Weight: 1 lb..Import..